It’s happened again. 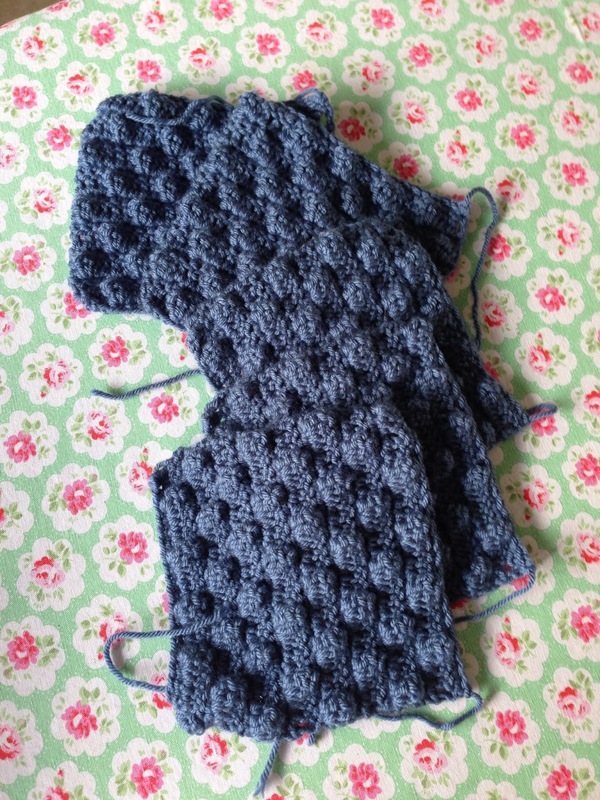 Just as I was bobbing along with my latest project – my autumn shawl which I mentioned in my last post – there appears to have been a diversion in progress and now I seem to have started something new. Will I ever learn? What is it about me and starting things. Anyway, nothing I can do about it now, except tell you all what it is. 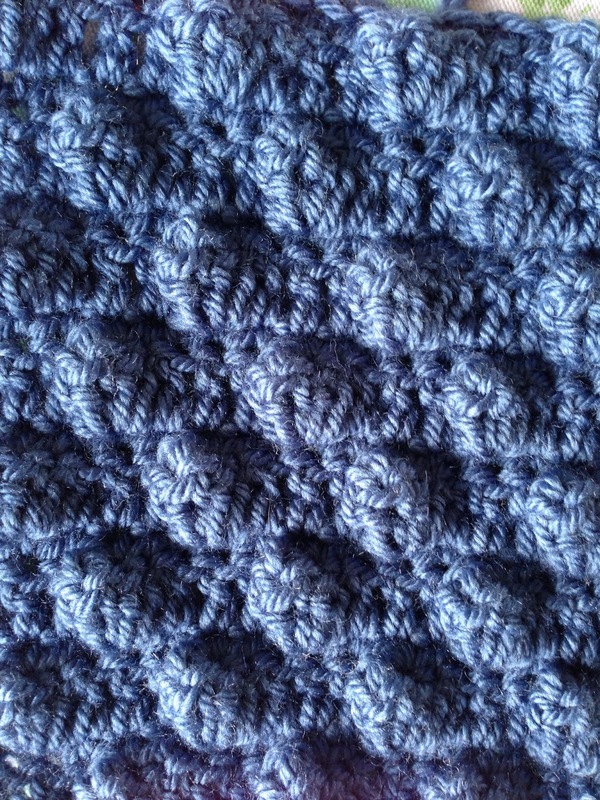 I have long since wanted to try one of those sampler blankets so I found a fab pattern (free) from the folks at Lion Brand yarn – here and have started using James C Brett Chunky with Merino (Shade No. 8) which is soft as soft and contains 10% Merino Wool. It’s also washable and I’m using a 6.5mm hook. 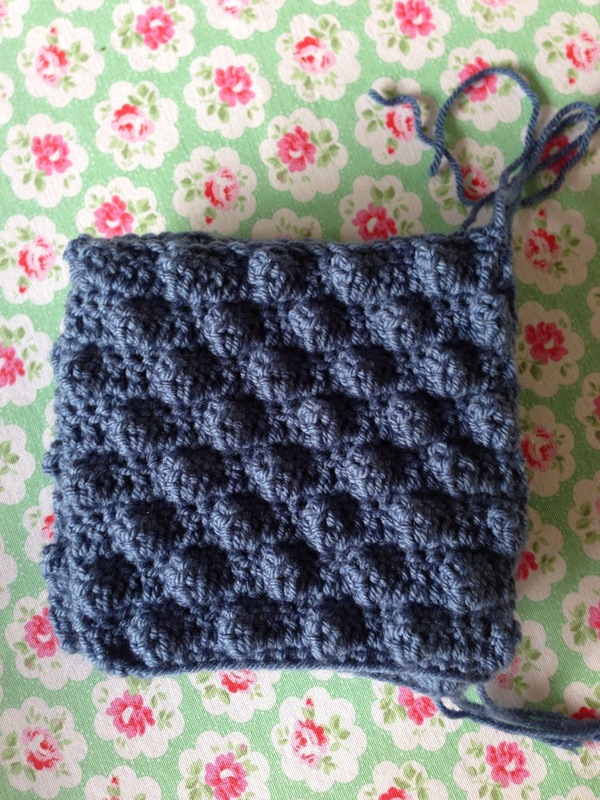 There are five squares of each design and so far I have done the popcorn stitch which I am really pleased with – it’s all kind of squidgy and soft and will make up into a really cosy blanket for winter. I’ve also had to curb another obsession with this project as I want to do it in one colour only. However, I am hopeless at sticking to my guns and was last seen rummaging in the yarn store for a colour for the border. I did manage to stop at the last minute though and bought only blue! Are you proud of me? Keep up to date with progress – it seems to be making up quickly – just in time for those Autumn nights!